Hideyoshi is a normal human and the best friend of Ken Kaneki. Hide is incredibly observant and can figure things out about people in a almost sherlock-like manner. He also becomes interested in things and works hard on them until he finds something else to interest him. At the end of Tokyo Ghoul √A, Kaneki encounters Hide, after a long time. It is revealed that Hide had actually known about Kaneki becoming a half ghoul; however he is not bothered by this. Hide makes one last request for the two of them to return home, before he eventually passes out due to the loss of blood, from a wound on his side. While Kaneki holds Hide, quietly sobbing for him, Hide briefly smiles, before he becomes comatose. During the last episode, Kaneki covers Hide's body with a blanket, protecting him from the flames around the Anteiku building, and carries him through the city. It is still unknown whether or not Hide has died from his injuries. In the Tokyo Ghoul manga, Hideyoshi goes missing, after his encounter with Kaneki. 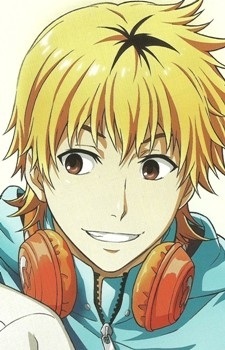 Later in the manga, it is revealed that Hideyoshi has been helping several people such as Amon and Haise under the identity of Scarecrow.